One of the things I hear most from people with depression is that it’s exhausting. 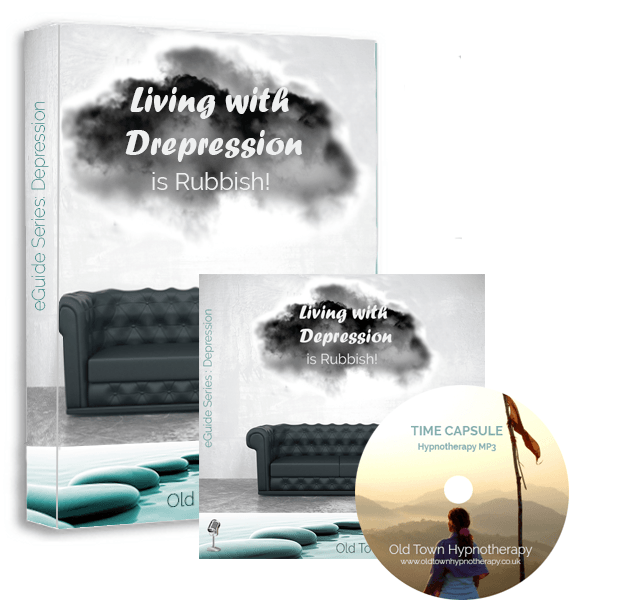 People with depression do a lot of negative ruminating about their life, themselves and the past, going over and over situations, over analysing and worrying about what others think of them. 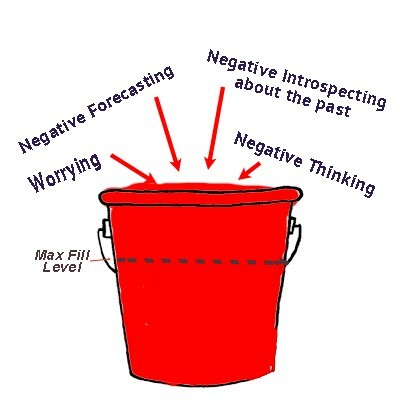 This negative thinking causes emotional arousal, also referred to as anxiety which is stored up in what we call the stress bucket. This is a normal process of the day’s events, for example we think about something that is going to happen during the coming day, a meeting at work for example, the event takes place and the emotional arousal related to that event is diffused. However, much of the negative thinking causing anxiety and emotional arousal from someone who is depressed is done from imagination in their mind, so it doesn’t get a chance to diffuse. The stress bucket fills up with this negative introspecting that doesn’t get diffused during the day because it is imagined, not real. Our brain doesn’t know the difference between imagination and reality, so it hangs onto it until the stress bucket can be emptied. Luckily we do have a way of emptying the stress bucket and that’s at night in REM sleep. When we go to sleep at night, one of the first phases of sleep we go into is REM – rapid eye movement. 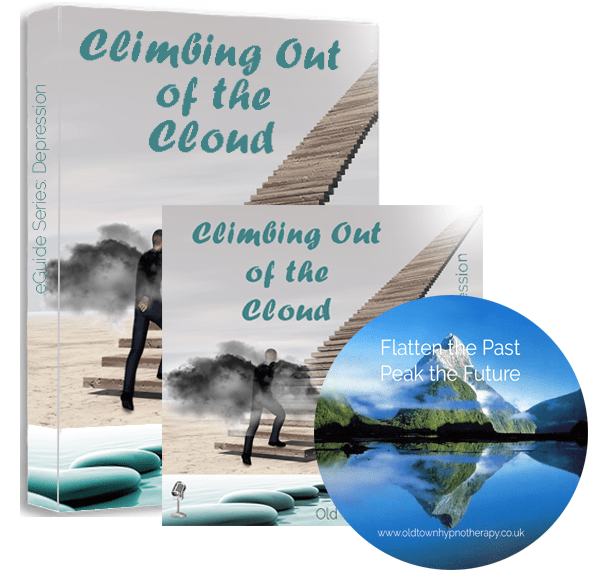 During that phase we rerun events of the day – real or imagined – and we move them from our emotional, primitive mind to the intellect that will deal with whatever it is, rationalise it and put it in perspective. So if all this works OK then we wake up in the morning mentally and physically refreshed. 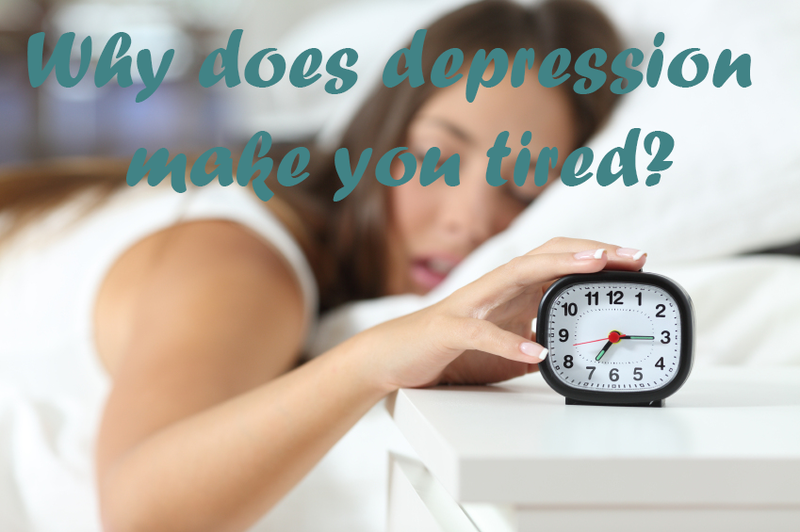 However, unfortunately as adults REM sleep is restricted to twenty five percent of our sleep, so if you are depressed and have been overfilling your stress bucket your brain has to work extra hard in the attempt to empty it. REM is four times harder work for your brain than doing your job. The result of this is a vicious cycle. Your brain is working overtime in the night trying to empty the stress bucket and so you wake up exhausted and want to go back to sleep. You fall asleep during the day or as soon as you get home from work, go into REM sleep and exhaust yourself again. 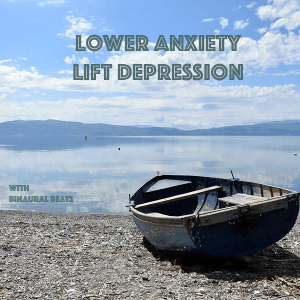 Some antidepressants limit REM sleep and the self-hypnosis MP3s helps you empty the stress bucket, but the secret to turning depression around lies in learning to not fill it up so much in the first place. So, yes depression is actually exhausting, but learning techniques to limit the constant intrusive negative thoughts will help to regain energy so you can do the positive things in life that will create serotonin, motivation and more energy.